As we move further away from the May 2018 adjournment of the Minnesota Legislature, attention turns from committee work and floor votes to door-knocking, fundraising events, endorsements and elections. 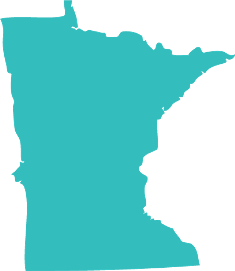 The 2018 Legislative Session presented a large challenge to the employer community and members of the MNRSA. While attempting to address internal challenges around sexual harassment, the House Majority Leader late in the session began pushing major changes to the Minnesota Human Rights Act which had the potential to erase years of case law and important protections for Minnesota Employers. Working with a broad business coalition, the MNRSA assumed a major leadership role in the efforts to address this legislative proposal. Our coalition offered several compromise proposals and ultimately was able to convince both the Republican and DFL Leaders in the Minnesota Senate to spend the interim studying the issue. We assume this topic will return in 2019 and are working with the broader business community to better understand the House proposal, its impacts and potential solutions. Enjoy the Dog Days of Summer and if you are attending local parades or community events make sure you take the time to introduce yourself to your local elected officials and candidates. This is a wonderful time to build relationships and educate others about your business.